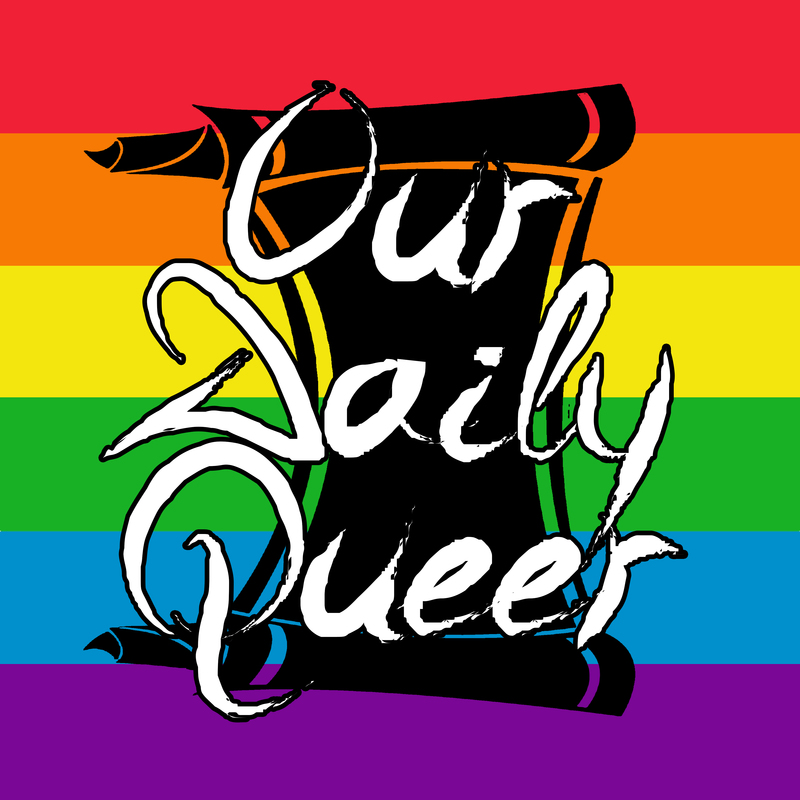 Get your drink on with these cool LGBTQIA Mugs! Are you as addicted to coffee as I am? I always have to start my day with coffee or else I’m a cranky old man… well either that or a man who can’t get his work done because he’s falling asleep! 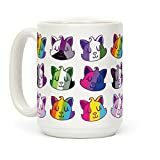 So, I thought: why not look up some awesome LGBTQ+ mugs and grab them for our office? Better yet, why not share them with our readers to see if they are interested too! This mug features the classic Pride Love logo on both sides. It’s sleek, its’ sweet and it can hold 15 oz of coffee… or booze 😉 Happy Pride! How cute is this mug? Not only are we super cat fans in the office, we have two little ones roaming around at all times! 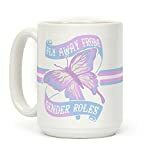 My favourite thing about this mug is how inclusive it is! 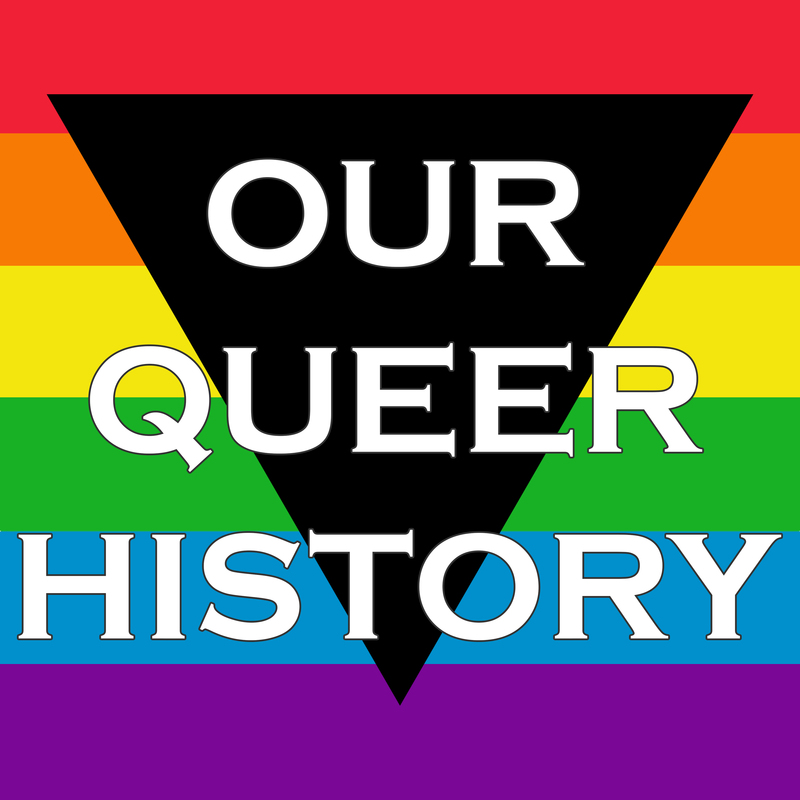 Featured flags include: Asexual, Bisexual, Non-Binary, Lesbian/Gay, Transgender, Pansexual and many more! Easily one of my favourite mugs I have ever found! Yes. Yes and more yes to this! Words cannot describe how much I love this mug. 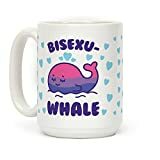 I’m a huge lover of all things punny and all things bisexual and this mug covers both extremely well! 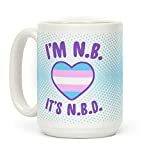 This 15oz mug is also clever and features the Asexual Pride colours. I’m always excited to find asexual branded products and novelty items that help raise awareness of aces in general. 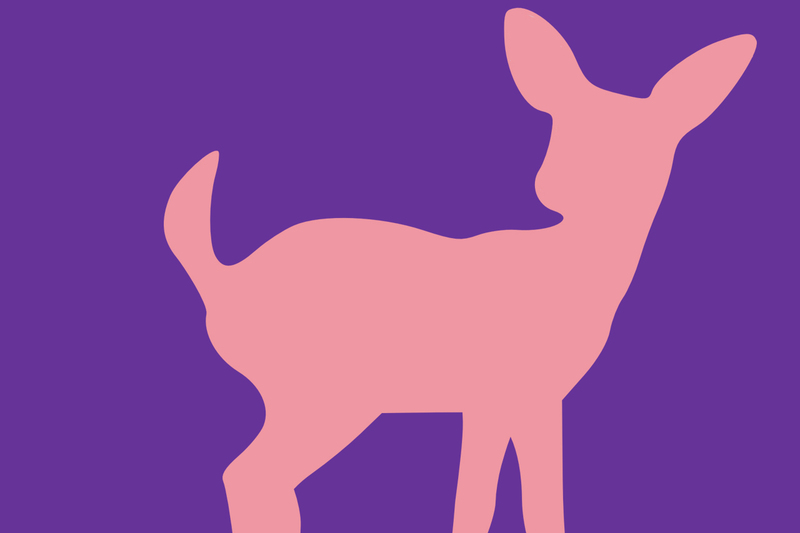 I think it’s extremely important to not forget asexuals are part of the queer spectrum! Not a dad? Check out: Best Gay Mom Ever, Best Lesbian Aunt Ever, Best Gay Uncle Ever, and Best Lesbian Sister Ever! Another staple. 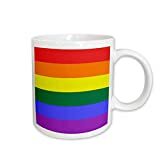 If you’re interested in the classic sheer look of a rainbow flag on your mug, then grab this one! This one in particular also comes with multi-toned versions just in case you’d like different handle/inner colours! This mug is also absolutely adorable and is definitely the first one I am buying for the office. It comes in two sizes (11oz and 15 oz)! 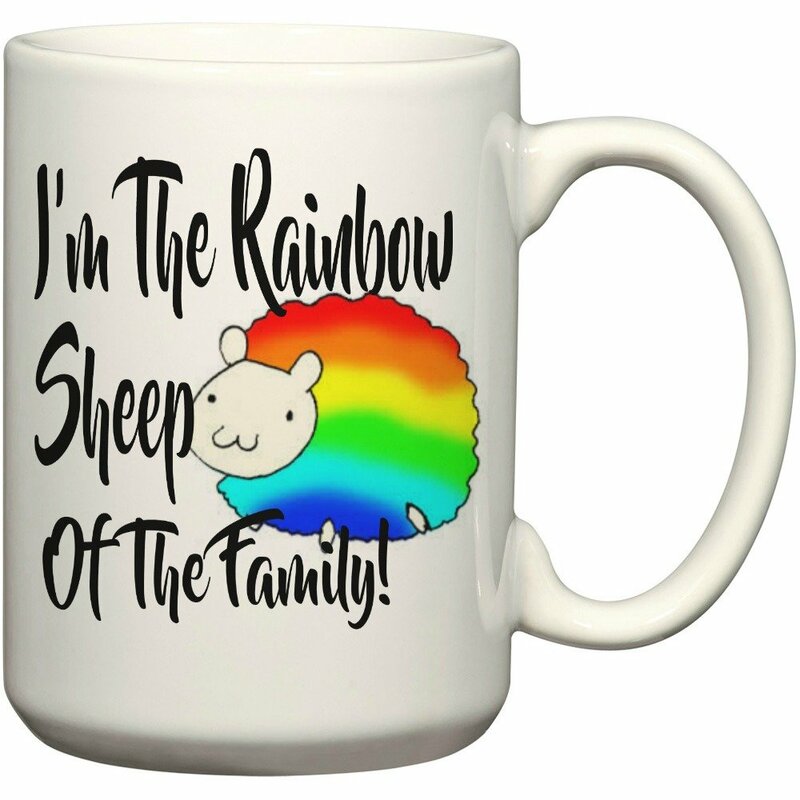 Forget being the black sheep, let’s get your rainbow on! So much yes to this! 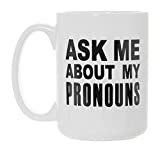 Pronouns aren’t that difficult to learn and on top of that, you can always ask someone if you’re not sure what they would prefer to be referred as! This mug is a perfect reminder of all of that and is a great addition to any office space. Into gag mugs? Maybe you’ll love this one! The dinosaur is absolutely adorable and about how often do you have a slick way of saying you’re into girls ;). I’m a big fan of this mug, how about you? This mug captures my essence. I’m definitely always saying YESS QUEEN and I’m definitely a unicorn! The more unicorns the better! 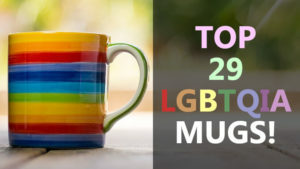 Let’s get more Bisexual Mugs on this list! Here’s another cute bi meme featuring the bisexual colours and the phrase “I’m a Mixtape” on the front and guess what… it’s true! I am a mixtape! And if you don’t identify as bisexual, but identify as pansexual… well guess what? They have the exact same mug, but with the pansexual flag colours instead! How awesome! I’ve also made the executive decision to buy this mug for the office. It’s absolutely adorable and features a rainbow fingerprint. Of course it’s true, the only choice I made WAS to be myself! 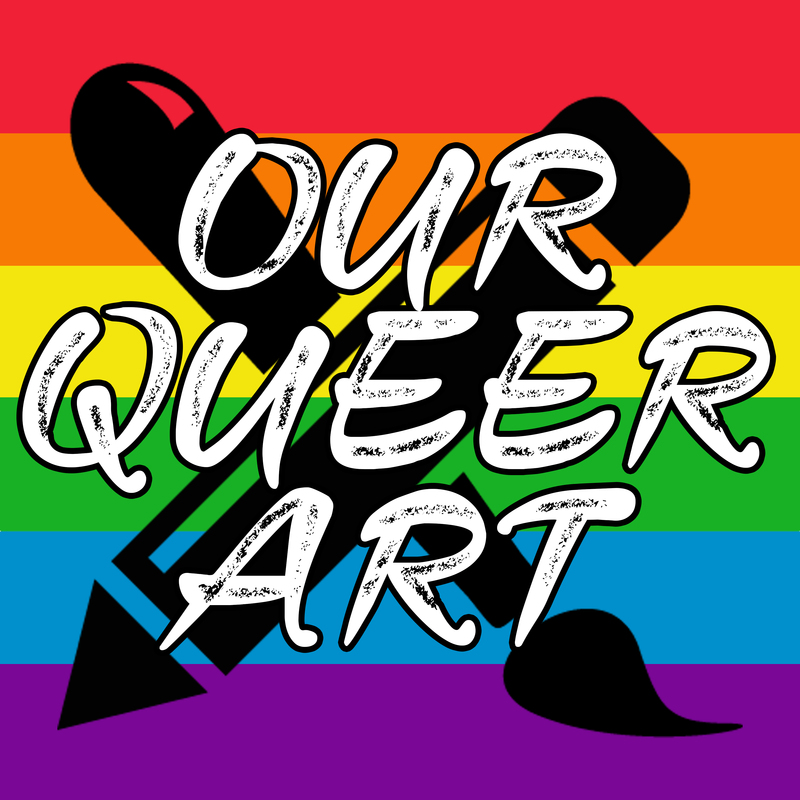 It doesn’t matter how you identify, you can always show off your queer pride with this awesome mug! Into silly sexual mugs? Why not grab this one to show how much you love “eating out with your girls.” The thing I love the most about this mug is the design. It’s sleek and very well designed! This design is definitely one of the strongest. 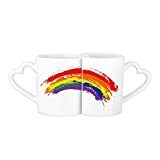 It comes with two mugs that fit into each other to complete the rainbow. 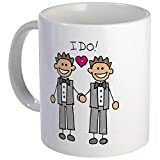 I’ve seen a few more of these such as: Duo LGBT Mugs, Pride Flag Mugs, Sketched Rainbow Heart, Spray Paint Pride Flag, Lined Pride Heart, Prism Pride Heart, Pixel Pride Heart, and Pride Peace Sign. Are you a Dad? Why not grab the Proud Dad Mug instead! Another gorgeous design and what a great mug to have around during the holidays! While you’re celebrating make sure to put some hot cocoa (maybe slip in some Baileys if your family gets too much to handle) and spend some time with loved ones by the fire. This mug also comes in either a black or white inside! 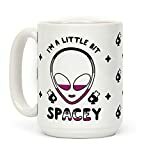 Sticking to the Ace theme, here’s an awesome mug for those of you who are also into aliens! The design also features a bunch of Ace symbols and the official Ace colours! You’re right! I wouldn’t understand! 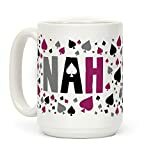 If you’re an Ace this might just be the mug for you. Perfect for those times that you’re being misunderstood or whenever you want to land an Ace related punch line! 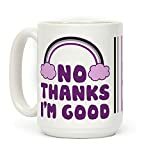 Another great Asexual mug! This one features a rainbow with the Ace colours and holds 15oz of liquid. Such a beautiful mug, eh? 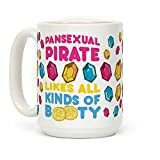 Even if you don’t identify as Pansexual this mug is a definite must have! The best thing about this mug is the fact that each purchase actually pays the artist who designed it. This mug also comes in both 11oz and 15oz. Non-Binary? Tired of people using the wrong pronouns with you? Why not get a mug that let’s them know before they get it wrong! Let’s get some transgender love in on this list! 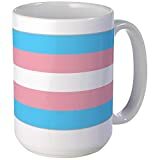 This mug features the classic trans* flag and carries 15oz of liquid. Ask my partner… I’m such a sucker for cliches! This mug is absolutely adorable to me. Perfect for those of you who are about to get married or are already married! And let’s make sure we represent that marriage equality! Since the last one was gushy, I thought… why not throw in another gag mug! 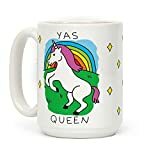 This mug features a hilarious photo of a unicorn throwing up a rainbow… cause don’t gay people also poop glitter, or is that just Ke$ha? I’m so impressed with a lot of these designs. This one in particular is beauuuutiful! It features a butterfly drawn with the colours of transgender pride and my oh my do I want it. 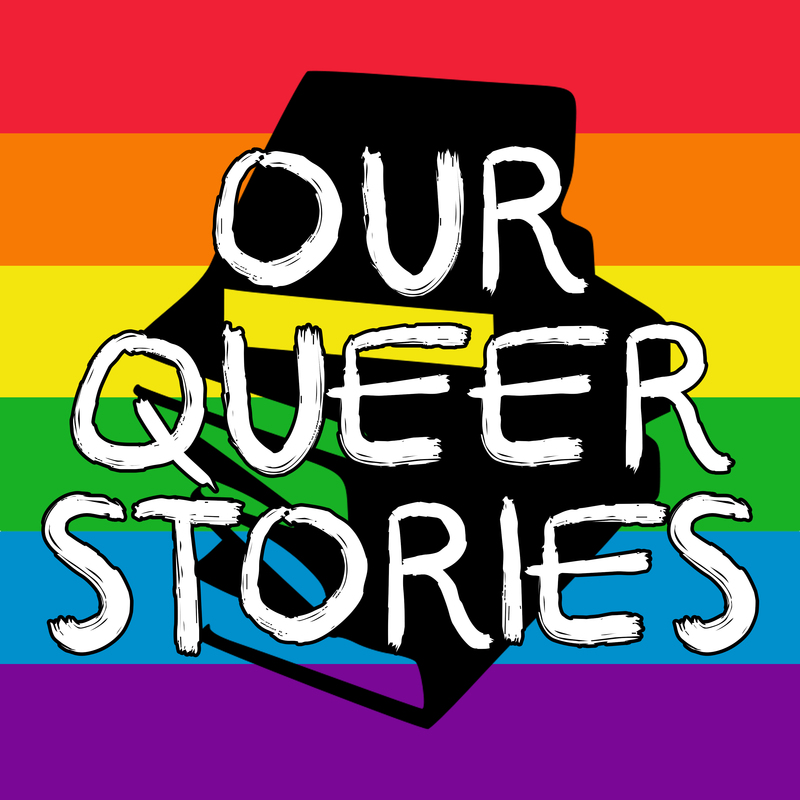 Perfect for any genderqueer, transgender, gender non-conforming, or gender non-binary folk! So, here comes the part where I ask you… have you seen any awesome mugs, or do you have any awesome mugs that I should check out? Let me know with a reply below!